Shploing!! is brewed in Dorchester for the Swedish brewery Omnipollo. In name and description alone, “Shploing! !,” an IPA brewed with marshmallows, graham crackers, salt, lactose sugar, mangoes, and vanilla, is a beer that grabs your attention. Brewed in Dorchester for the Swedish brewery Omnipollo, Shploing!! is one of the louder examples of the on-trend “lactose” or “milkshake” IPA’s that are seemingly everywhere right now. The modified IPAs are made when a brewer supplements the bitter embrace of the style with lactose, an unfermentable sugar. The beers taste a little sweet and present cloudy, like someone scooped a couple of spoonfuls of condensed cream of mushroom into a Heady Topper. Todd Charbonneau is a good person to talk to about IPAs. As an early brewer at Harpoon, he helped craft the brand’s iconic IPA, back when the style was dank and biting. 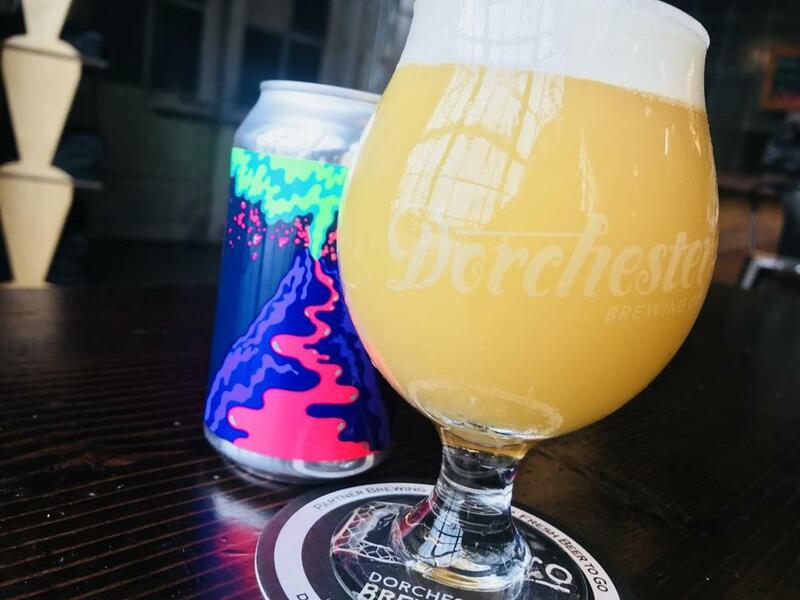 As head brewer at Dorchester Brewing Co., Charbonneau contract-brews several lactose IPAs — as well as some brewed with another sweetener, maltodextrin — for Omnipollo, Decadent Ales, and others. Last summer’s popular Evil Twin/Omnipollo lemonade series featured a dose of lactose to make the drink taste more sugary. Other examples of the style include Decadent Ales’ Creamsicle, a double IPA with Madagascar vanilla bean, Omnipollo’s Shoutao Peach Slush IPA, and Deciduous Brewing’s Sun Day 1.0, an IPA brewed with lactose and mango. It’s not clear that lactose IPAs are here to stay. DiCarlo says customers rarely buy a four-pack, choosing instead to insert singles into a mixed case. On the other hand, Charbonneau says that due to its popularity, he’s already planning batches of Old Fashioned Lemonade IPA to launch well before the summer. Gary Dzen can be reached at gary.dzen@globe.com.